Capt. 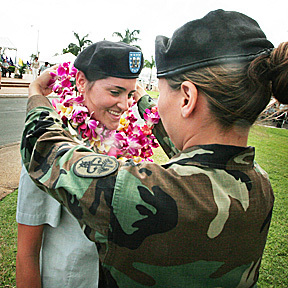 Erin Drifmeyer received a lei from Sgt. Maria Escamilla yesterday during the Tripler Army Medical Center Graduation and Retreat Ceremony on the hospital grounds.